beautiful lakes where waterfowl glide across the calm water. architectural design controls. The area is part of Tyler Independent School District. 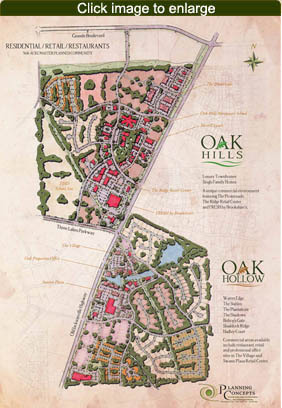 Oak Hills Montessori School is also located within the community itself. Residents and visitors alike will enjoy the easy access to restaurants, shopping and a variety of other commercial properties.